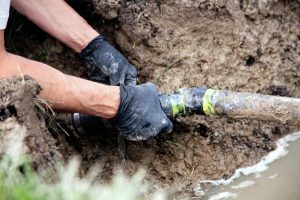 Sewer Line Repair | Ken Neyer Plumbing, Inc. The drain clog and the slow drain are, unfortunately, basic problems for plumbing systems that can never be completely banished. Whether you’re a local homeowner or business owner, you may need to schedule drain cleaning in Hamilton, OH or other major drain and sewer line repairs to deal with clogs. But a clogged drain shouldn’t be a regular occurrence. And you shouldn’t see water backing up through drains when you run the washing machine, or water come up through a shower drain the nearby toilet is flushed. These indicate bigger clogging issues in the sewer line—and that’s when a pipeline inspection is the best option. 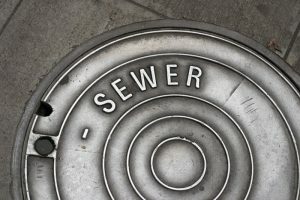 What Is the Sewer Cleanout? One of the most important services we offer as a professional plumber in Cincinnati, OH is cleaning and repairs for sewer lines, both residential and commercial. Hey, it’s a dirty job, and somebody’s got to do it—and you’re probably glad it’s not you! One of the important things to know about sewer line services is how plumbers get to the sewer pipeline that runs from your building out under your property, and then into the municipal sewer system. When you call our plumbers to handle cleaning out drainpipes, we usually won’t need to worry about getting to the sewer line, unless we discover your drain issues are coming from clogs or breaks in the sewer main. When you’re in need of work for the sewer line, our plumbers won’t try to reach it through small drains! We’ll use the cleanout. Posted in Drain and Sewer | Comments Off on What Is the Sewer Cleanout? What Is Your Sewer Line Made Of? The sewer line that runs from your home’s drainage system and then out to the municipal sewer line in the center of the street is one of the essential components of your home—not just its plumbing system. You can’t have a hygienic or pleasant home if the sewer line is blocked or damaged. 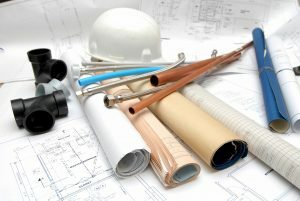 Posted in Drain and Sewer | Comments Off on What Is Your Sewer Line Made Of? Here’s what trenchless technology can help you avoid. 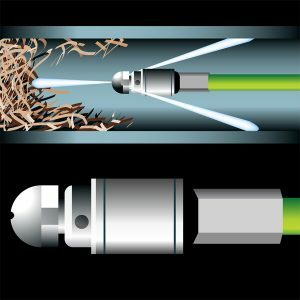 You may have heard of trenchless technology before, but weren’t certain exactly what the term meant, or if it had any particular application for your business. Trenchless technology is a type of lateral boring technique that was originally developed in the 1930s to help with coal mining. Soon after, the technology was put to use in the fields of civic plumbing and engineering, allowing for the laying of new pipeline, telephone wires, and electric conduits without the disruption of streets, sidewalks, and other infrastructure. 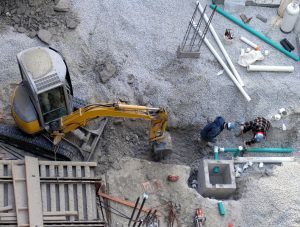 Eventually, trenchless technology became available for both commercial and residential plumbing, making it easier to repair and replace buried pipelines as a substitute for conventional digging techniques. No problem in a home’s plumbing is “pleasant.” But it’s not an exaggeration to say that a backed-up sewer line is among the most “unpleasant” problems for a household. We sincerely hope you never have to deal with a plumbing issue this severe—but we’re also glad to be the ones to help you out with drain and sewer service in Cleves, OH should it ever happen to you. Is Trenchless Technology Standard for Home Plumbing Now? We take pride in keeping current with the best plumbing technology available today, both to serve residential and commercial plumbing in Cleves, OH and throughout the Greater Cincinnati and surrounding Tri-State areas. One of the essential pieces of technology we use on a regular basis is trenchless technology. Using these tools, we can take care of sewer line repairs and sewer line replacements in a fraction of the time compared to standard digging methods. We put it to use both for homes and businesses, including large-scale projects. There’s no better way to handle sewer and water line work than to go with trenchless tech. But does this set us apart from other plumbing contractors? If trenchless technology is so wonderful, isn’t it the norm for homes in need of sewer lines replacement and sewer line repair? Posted in Drain and Sewer | Comments Off on Is Trenchless Technology Standard for Home Plumbing Now? If you live in a house with a connection to the municipal sewer system (which is the majority of homes in the Cincinnati Area, but certainly not all) then the sewer line that runs from the house and out to the city pipeline in the street is your responsibility. If this line should suffer from damage, become blocked, or corrode, it’s up to you to call for professional plumbers to locate the issues and fix them. It’s a big job—but if it doesn’t get done, the consequences for your home will be unpleasantly high.